A slice of pizza has a water footprint of 40 gallons of fresh water. Add meat and the water footprint sky rockets. 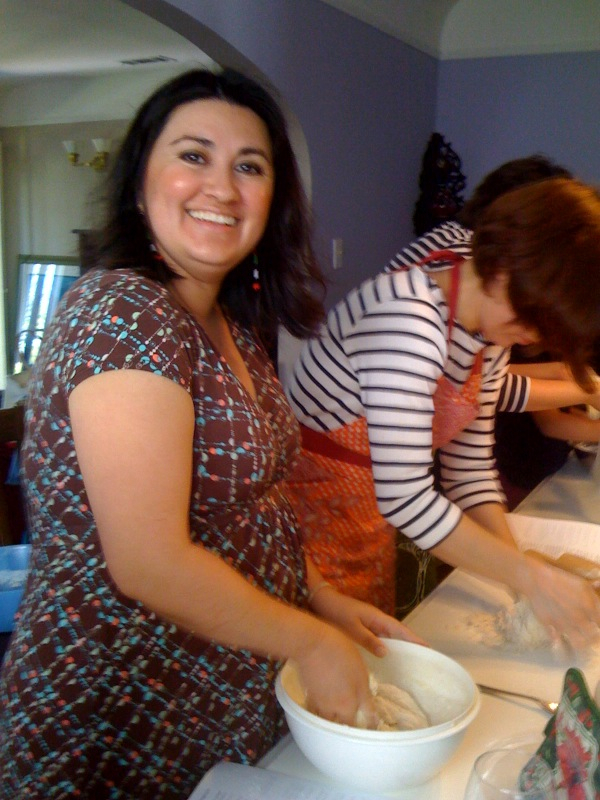 Ten women and two children gathered around my kitchen table and mixed, kneaded and rolled pizza dough AND learned why the ingredients to their pizza matter to water systems locally and around the world. Pizza is a great way to begin a water-sustainable lifestyle. 90% of the worlds wheat is rain-fed (green water). Here in the U.S., the largest growers of wheat, the Dakotas and Montana use no irrigation on their wheat farms. In addition to seeking flour from these regions, I use organic flours to ensure that my pizza is not contributing fungicides to water systems (read more about wheat and water with this link). Friday is Pizza Friday. It is a tradition I borrowed from Barbara Kingslover in her part-memoir, part-food manifesto Animal, Vegetable, Miracle. Often I invite friends and family to join us on these evenings. I provide the pizza dough and cheese, friends bring the toppings. The toppings mirror the produce that is grown natural, local and in season. Our collective efforts are rewarded in flavor. 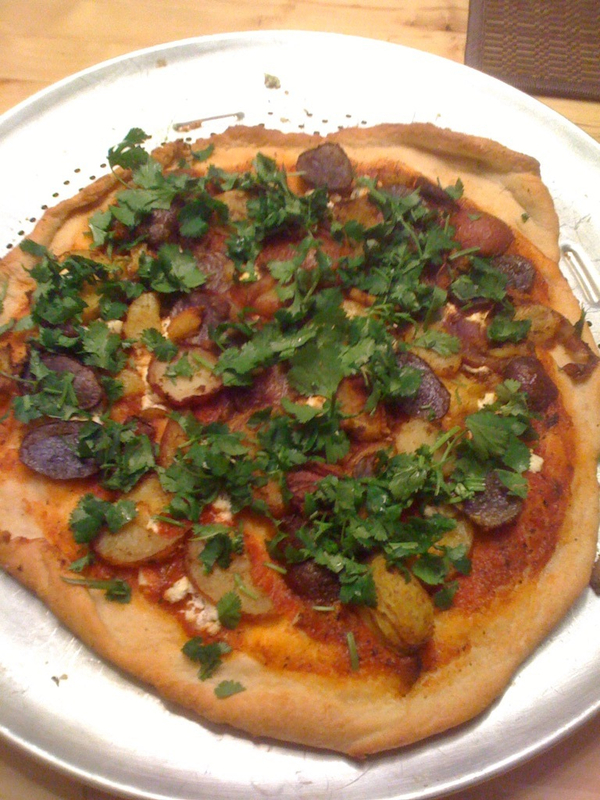 The pizza pictured above is curried potatoes, feta cheese with fresh cilantro scattered on top just after the pizza is pulled from the oven. I use an organic red tomato pizza sauce but organic tomato paste works just as good. This pizza was based on a slice I devoured at The Cheese Board in Berkeley, California. They serve one vegetarian pizza each day. Their website is a great source for seasonal, vegetarian pizza combinations ideas. 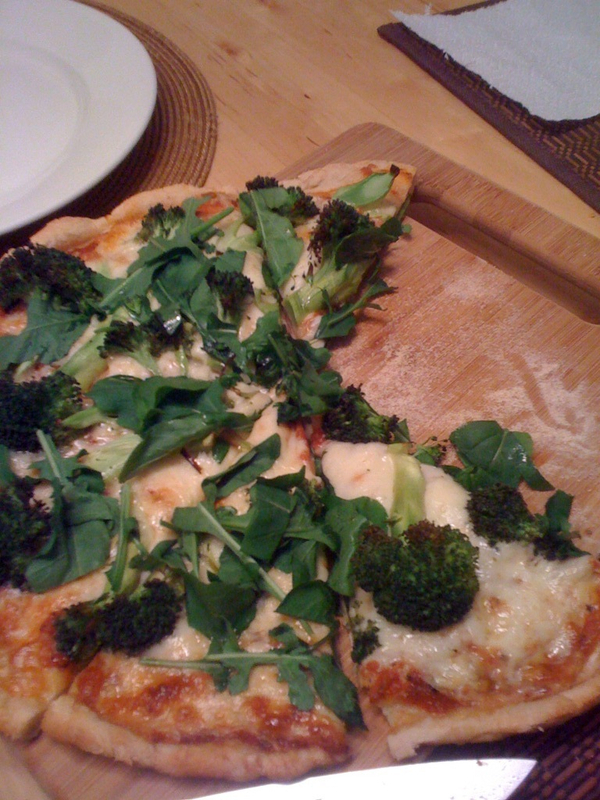 The pizza below is a winter favorite, broccoli, mozzarella cheese, arugula with a red tomato sauce. During the fall, winter and spring months I use canned organic tomatoes. Canned tomatoes are picked in the summer time (when tomatoes are in season) and canned for us to enjoy the rest of the year. Ventura Meat Co. for pasture-raised organic meat seven days a week. Many farmers markets now sell organic, pasture raised meats. Verni’s Extra Virgin Olive Oil. This oil is dry-farmed and organic and can be found at many Southern and Central California farmers markets. You can purchase in bulk (5 gallons for $45). Spring Hill Cheese Company for pasture-raised cheese found at many California local farmers markets. I also love Organic Valley Farms cheese that can be found at some grocery stores. Organic Valley Farms is a cooperative of small to medium size family-owned, pastured, organic dairies from around the country. To view more pictures and read more about the class please visit the V.C. Star. I make an extra pizza expressly to freeze for the weeks lunches. Be sure you slice the pizza before freezing. I double the pizza dough recipe and freeze half of it for the next Friday. Buon appetito. in a large bowl the water, yeast, honey, 1 tablespoon of the olive oil. Leave mixture to proof (you will see bubbles on the surface of the water). About 5 minutes. 1 1/2 cups of flour and salt into the yeast mixture with your hands or wooden spoon. Continue adding flour 1/4 cup at a time. the dough on a floured surface until the dough is smooth and round in shape (about 3-5 minutes). 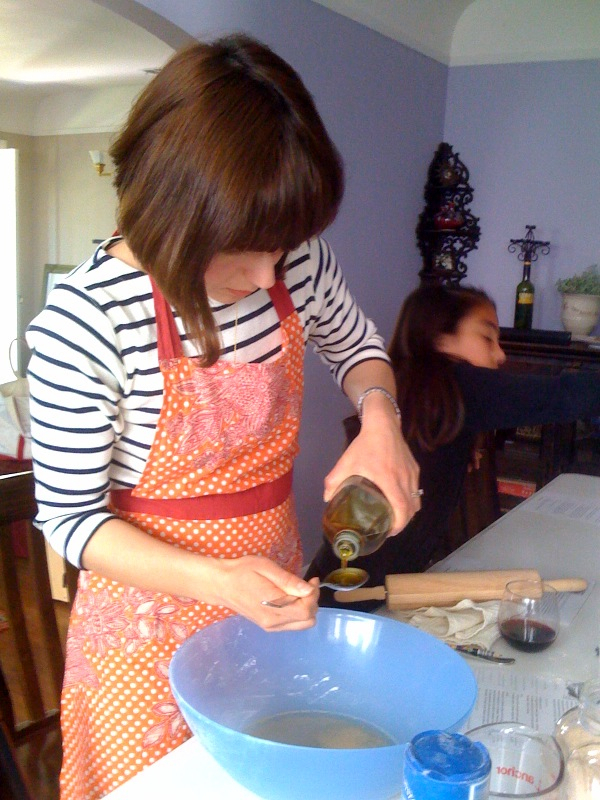 Place dough in an a large bowl that has been oiled with the remaining 1 tablespoon of olive oil. Cover bowl with a dish towel and set in a warm cozy spot free from drafts. The dough should double in size (about 1 1/2 hours). on a floured surface. 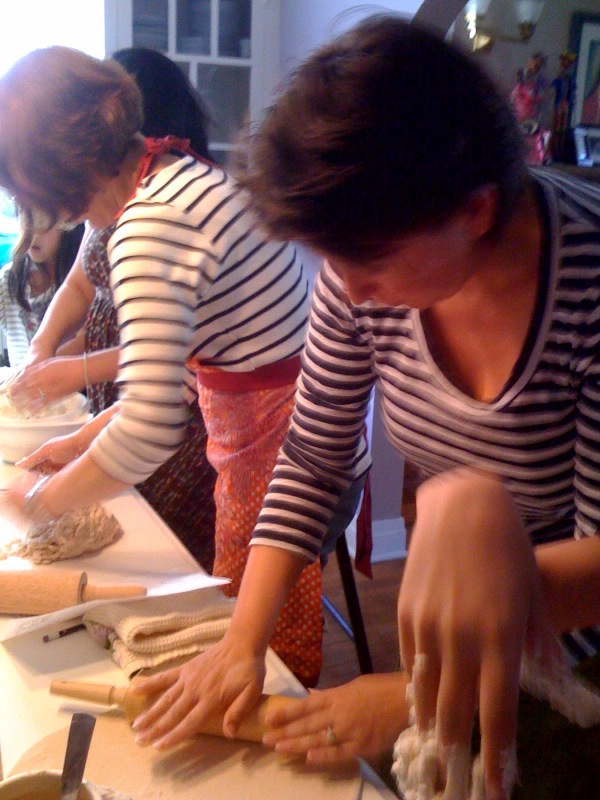 I prefer to roll the dough but if you do not have a rolling pin available you can do it by hand. Coat your fingers with oil and push, pat and press the dough outward from the center. Leave the edges slightly thicker for your crust. Brush the edge of the pizza with a light coat of olive oil. in oven at 425 degrees for 15-20 minutes. To enhance the flavor of the pizza dough sprinkle with salt and pepper before adding the topping. 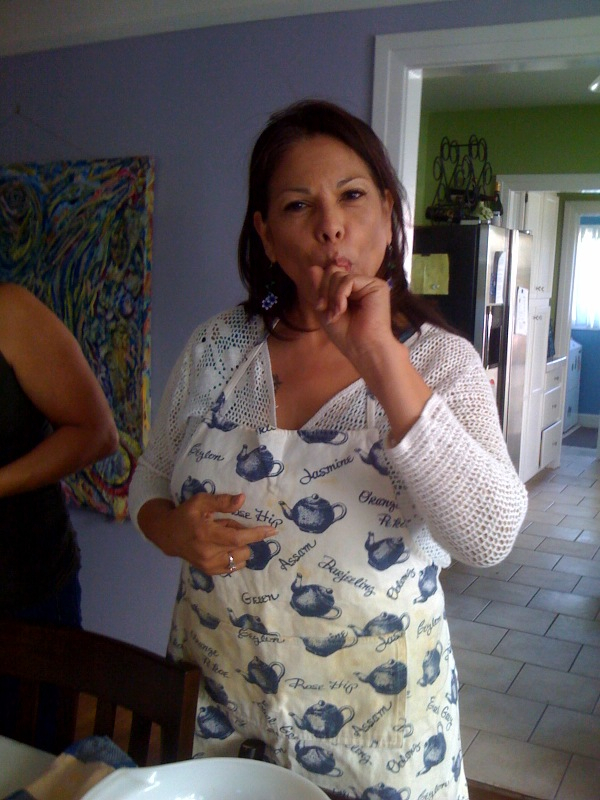 Maybe you could be interested in our Homemade Recipes Contest. Upload your recipe and you can win a Cookware Set, Made in Spain Pressure cooker and many more!